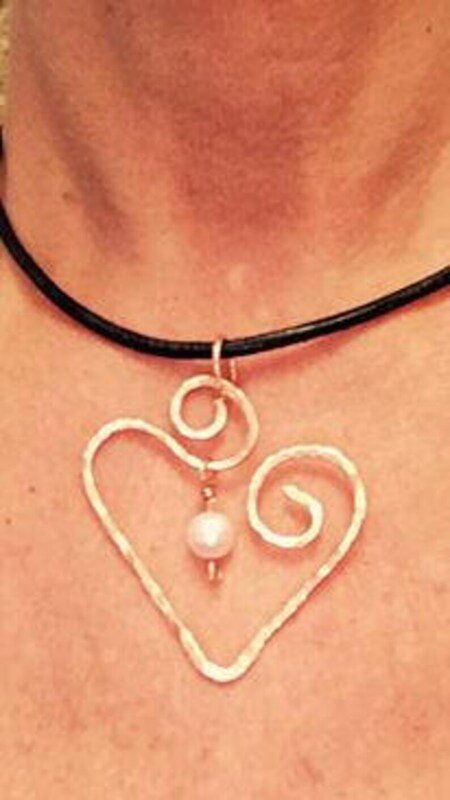 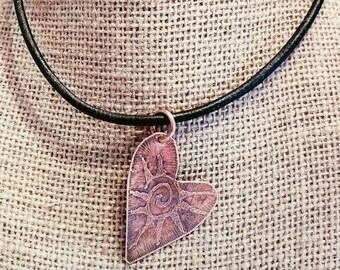 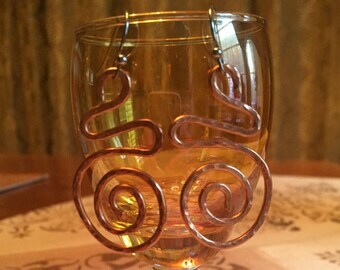 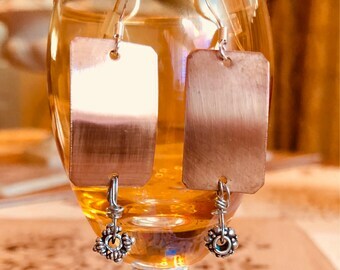 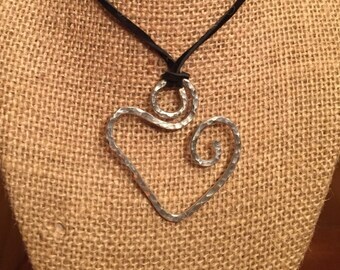 Copper swirled heart, hammered, with a swarovski pearl dangle, very pretty. 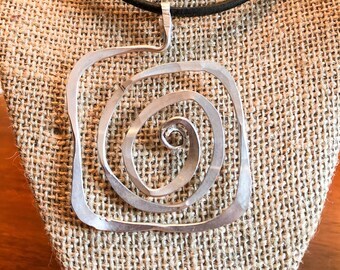 Height is 2" x 2" at the widest part. 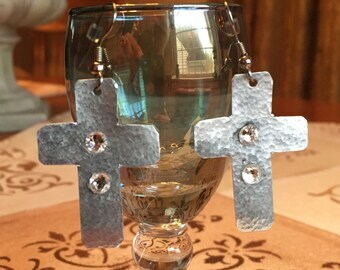 I can make this to your specifications if needed, no extra charge. 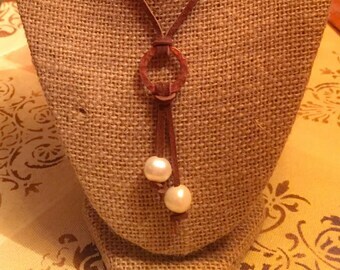 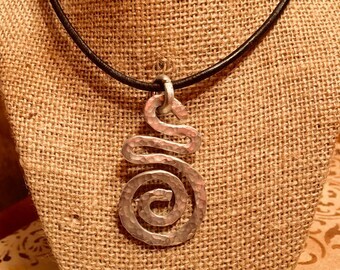 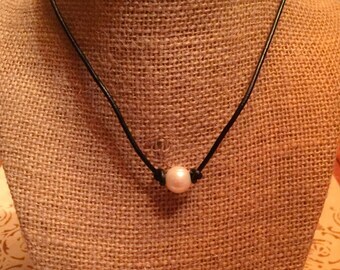 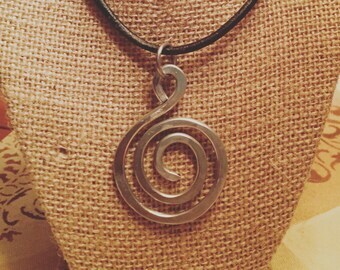 Leather necklace sold separately on my page with your choice of black or brown and your choice of lengths.